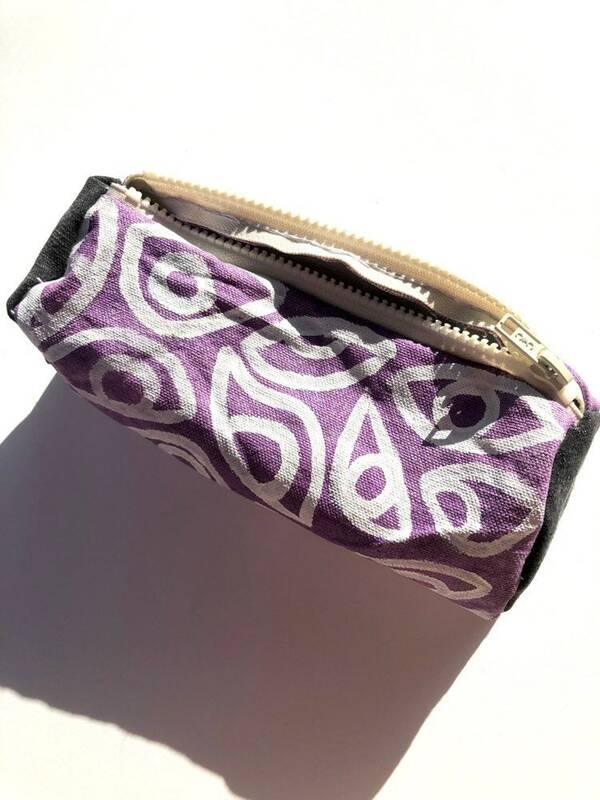 This listing is for one hand painted and sewn pouch created by me, Sam Pletcher! 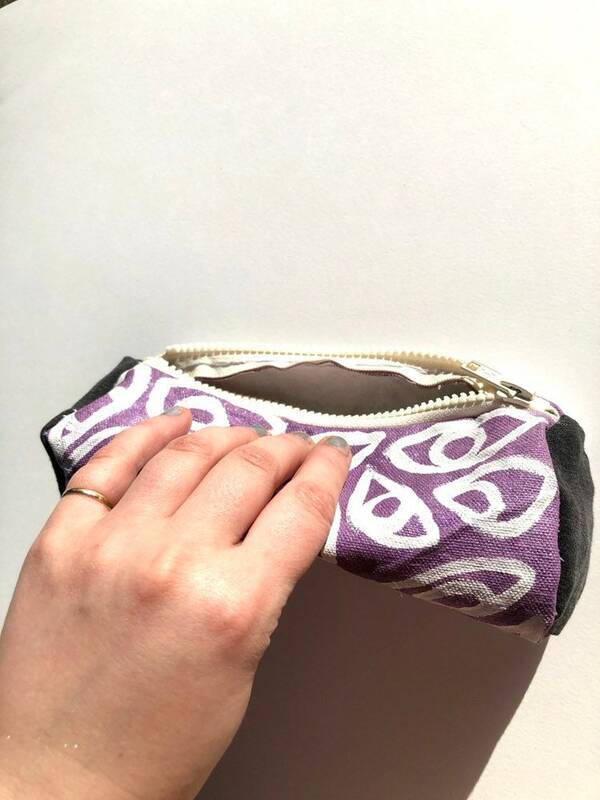 I made this pouch by painting a piece of canvas and then ironing it to set the paint into the fabric. 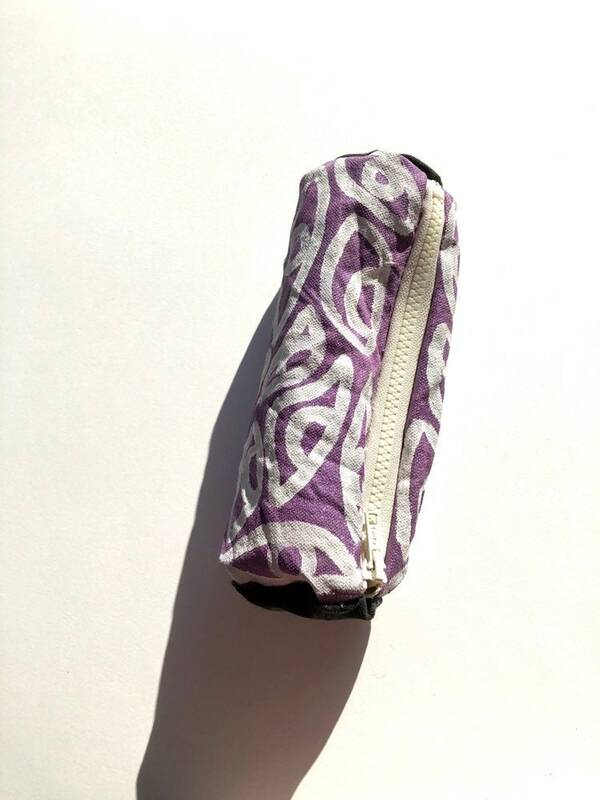 Next, I sewed on a zipper and sewed up all the sides, snuck a little label on the inside and called it done! I really love making things from scratch and it's super exciting to think that something I've made could provide use to someone I've never even met! Important details! 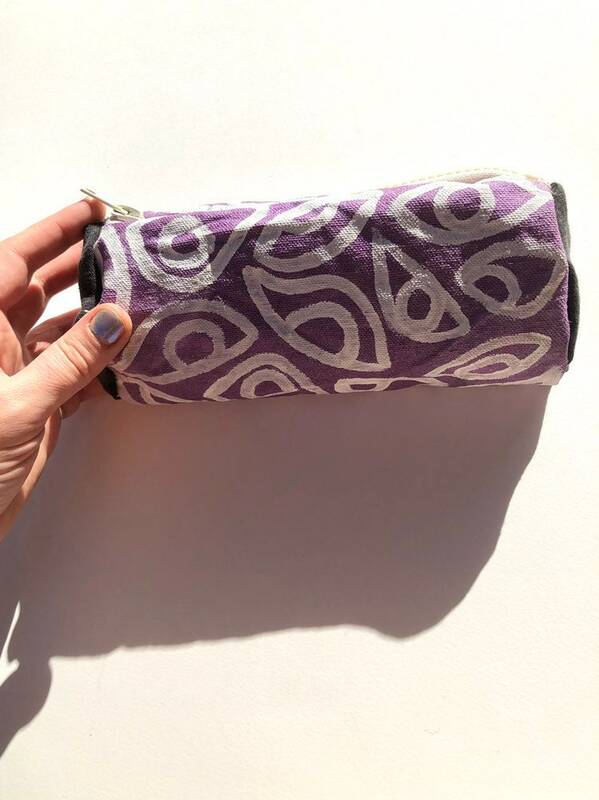 The pouch is a little over 8 inches long and about five inches wide when spread flat. 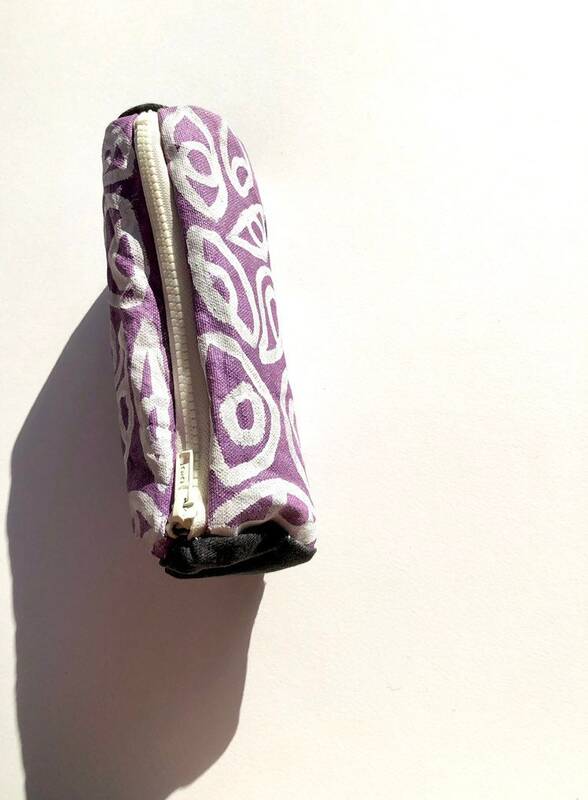 The zipper on the pouch is a cream color and made out of plastic. 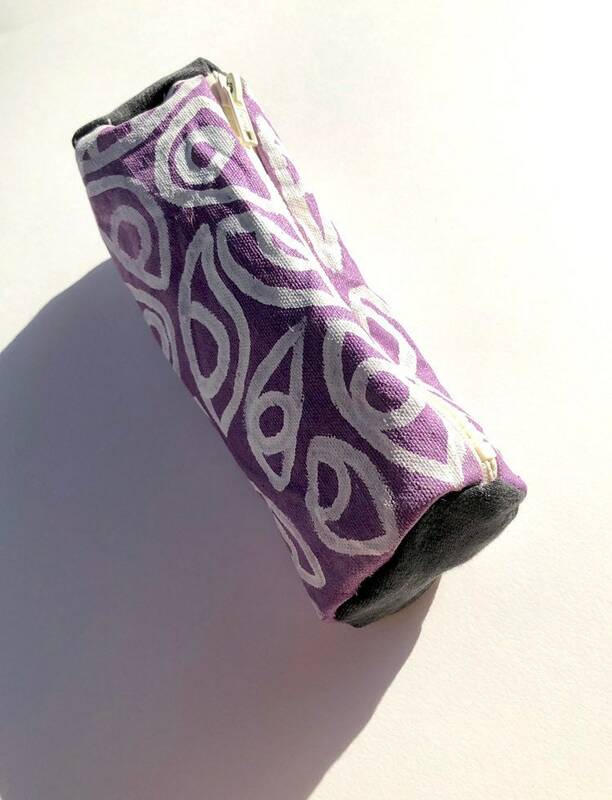 The colors of fabric paint used were a metallic purple as a background color, and white for the eyes. 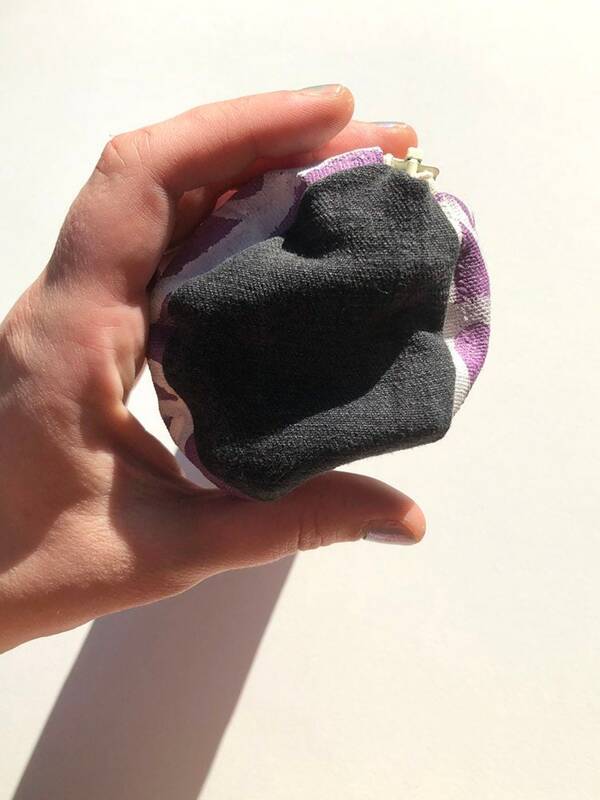 This bag is unique because I chose to use a black denim fabric as the ends of the pouch, which is a cool change in texture from the rest of the bag! Each stitch was done by hand, not machine, so they are not all perfect nor uniform. They are very strong stitches, which I have stress tested myself. 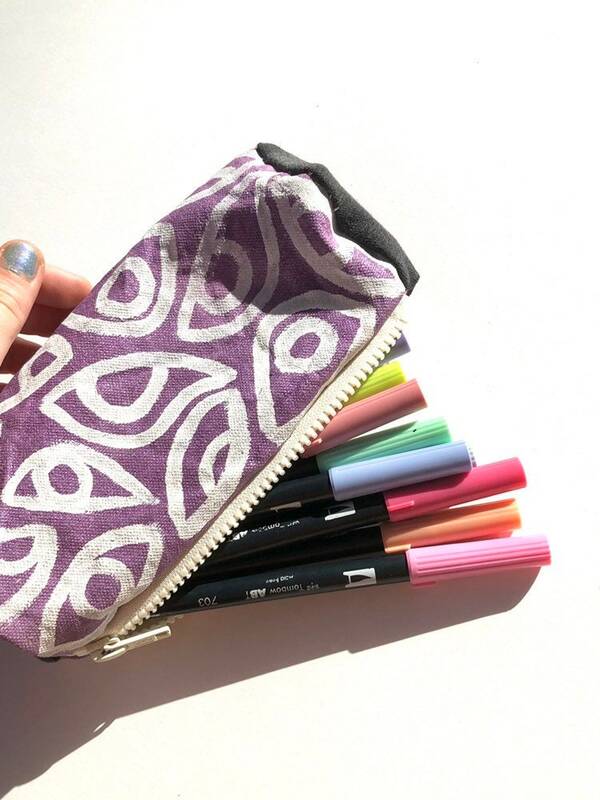 I use a pouch just like this one (that I also made) for all my pens and it has held up amazingly! 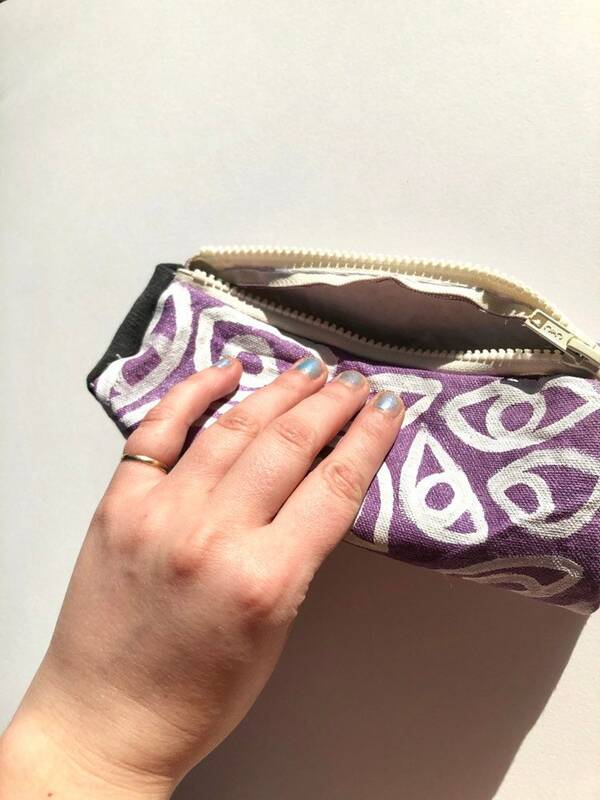 If you'd like to see the other pouches I've made, perhaps a different color of bag, check out the link below! Thanks again for checking out my store! !